When I think back on the favorite games of my youth I have a tendency to do so with rose-colored glasses. Nothing can really compare to the retouching my own memory gives to the games I love. I became keenly aware of this fact when I replayed the remastered Halo with Steven. It was alarming to see that the remastered version was closer to what I remembered about how the game looked, than what it actually looked like when I first played it years ago. How does all this relate to Double Fine's Grim Fandango Remastered? Well, I suppose that I had high expectations going into this updated romp down adventure game memory lane. The game was billed as having repainted hi-res character textures, new dynamic lighting, and a gorgeous new recording of the score by the Melbourne Symphony Orchestra. I was excited by this news, and yes the game does technically have all those things. But those features, if I am being totally honest, do little to evoke a feeling of a loved game remastered. Grim Fandango Remastered plays more like a direct port than an artfully restored treasure. This game, which I had expected to play with the same gleeful "warm fuzzies" that I experienced throughout my playthrough of The Secret of Monkey Island: Special Edition, brought a more mixed bag of emotions to the table. So many of the elements that I loved about this classic Lucas Arts game were still there. The unique story (how can you not love a noir based in mesoamerican afterlife mythology? ), great dialogue, inspired artwork, and head scratching (read: potentially infuriating) puzzles were nearly the same as I remembered them being. There was also a lot I didn't remember. Buggy gameplay was something that I don't recall being as much of an issue in the original. Its buggy nature in Remastered led me to a very frustrated replay of the first hour of the game (partly due to me not being better about staggering my saves, that bit is on me.) Directing the protagonist, Manny, around the scenes was much more clunky than I recalled (so much walking). The the great art work and design of the game is nigh identical to the original version, so without a proper update it comes across as weak by modern standards. I worry about coming across as harsh. I love Grim Fandango, I truly do. I am thankful for Double Fine's efforts to bring Grim Fandango back, if only for posterity. It was Lucas Arts' first foray into 3D and the scope of the game was very ambitious for the time. Grim Fandango is certainly worth preserving as a part of video game history. 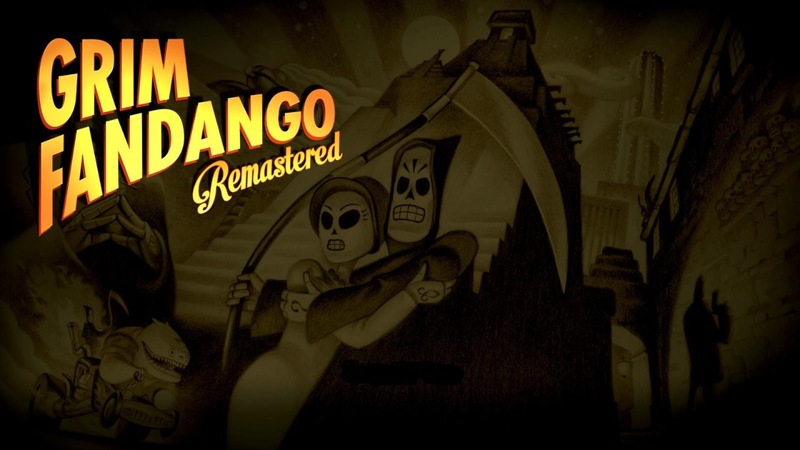 Grim Fandango is available on Steam and is currently free on the PS4 for members of Playstation Plus.